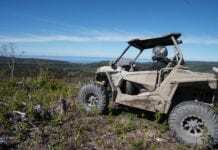 In general, for enthusiasts of off-road vehicles, taking part in an organized trail ride eliminates a lot of the worry. For most of us, exploring new areas is an integral part of our sport, but it also causes a lot of anxiety. 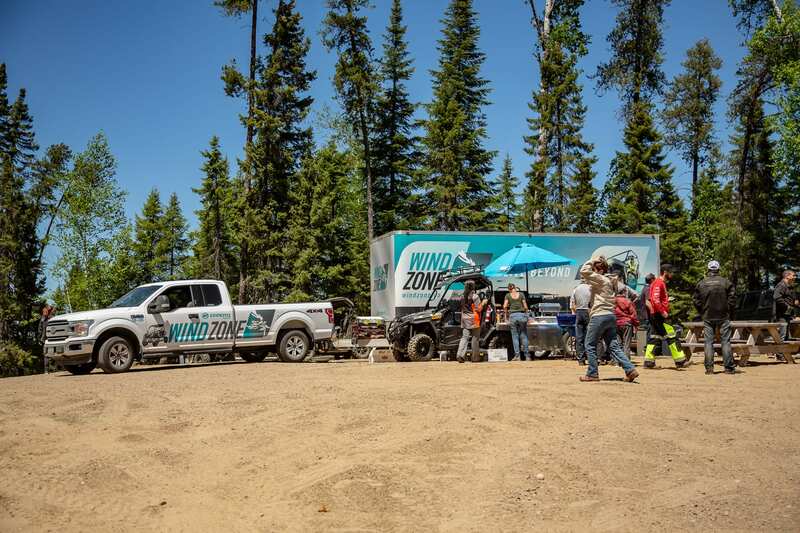 This is exactly what the WINDZONE Trail Ride offered: A devoted team provided total support and oversight and took care of the smallest details to ensure participants had a memorable trip. 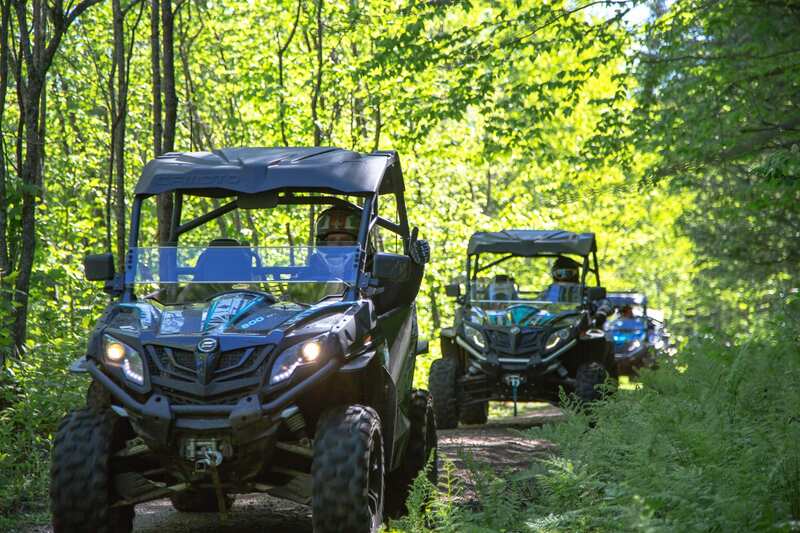 The team at Raven Média were tasked by WINDZONE/CFMOTO with organizing and coordinating a weekend trail ride, not only for people who own a CFMOTO, but also for all off-road vehicle enthusiasts. It is a well-known fact that Raven Média has mastered the logistics of these kinds of events despite each one posing its own particular challenges. This year, everything fell into place in a positive way. Last winter, our management team received a call from Marie-Josée Tousignant, director of Tourisme Haute-Mauricie. Her goal: To relaunch quad activities in this region highly prized by adventure enthusiasts. Admittedly, the disappearance of the 12 Heures de La Tuque event created a gap in motorized sport tourism, and local influencers had to work twice as hard to attract this godsend to jump-start economic activity in the area. In the beginning, there were so many stakeholders involved that it was difficult to implement, but the good will of each and everyone paid off: When the people involved all work toward the same, precise goal, it can only lead to a successful outcome. 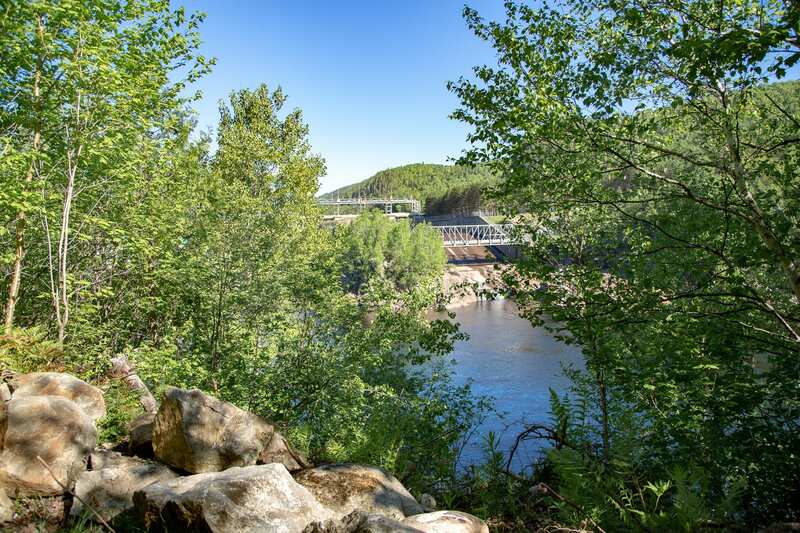 Tourisme Haute-Mauricie and the city of La Tuque were responsible for identifying the outfitters and the route to take, and Raven Média served, in some respects, as the director responsible for ensuring that everything and everyone was in their place. It took a continuous flow of emails and telephone calls back and forth over a four-month period to achieve a result that basically says it all. Raven Média was also responsible for promoting the event several weeks before the scheduled date. The response was immediate and exceeded all expectations. 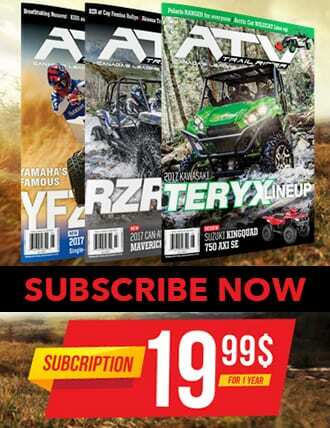 Enthusiasts from the four corners of the province responded to our appeal thanks to the promotional efforts on our social media networks and in our specialized magazines. CFMOTO, the main sponsor of this trail ride, had tasked us with bringing to life an experience that fits with their vision: Live in harmony with nature when out and about on a quad. 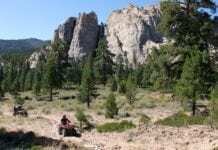 This experience was to be more than a way of promoting their idea of a quad; it was to evoke a feeling of well-being and of disconnecting from the hassles of everyday life when riding a quad. Several days before the scheduled start date, the restlessness could be felt, and several riders expressed their impatience on Facebook as they waited for the final departure date. Finally, on June 8, 80 participants were invited to begin the ride at 3 p.m. at the parking lot of the landing at La Tuque. Speeches by the Director of Tourisme Haute-Mauricie and by the President of CFMOTO, Carl Patoine, set the stage for the start of a great adventure. Participants excitement reached its peak when the start was finally announced and the sound of the amazing engines revving could suddenly be heard. The long line of vehicles, moving in single file, was an impressive sight to behold. The start also signalled the beginning of a 30 km trail ride, with Club Odanak as the end point. The route might have seemed short, but it made us look forward even more to what awaited us on the next day. The pleasant owners of Club Odanak warmly welcomed us. 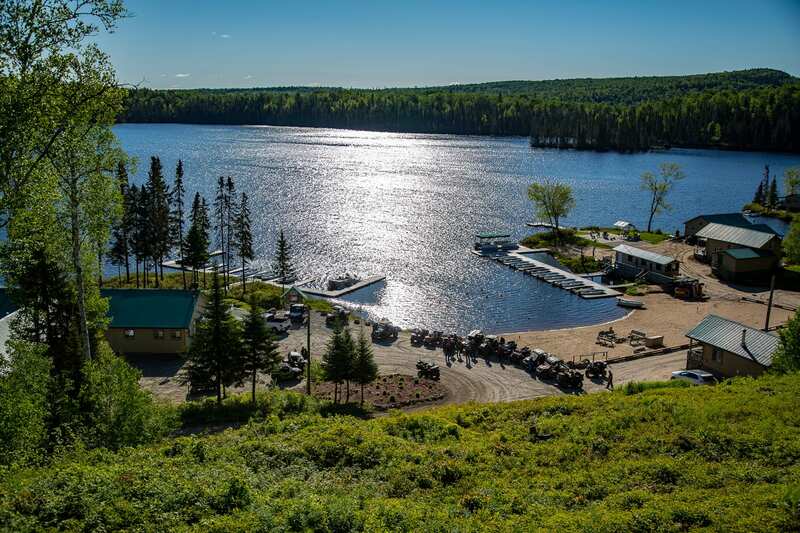 This outfitter and inn is located on the ancestral lands of the Atikamekw nation, which has maintained the fishing and hunting traditions taught by their ancestors for over 30 years. 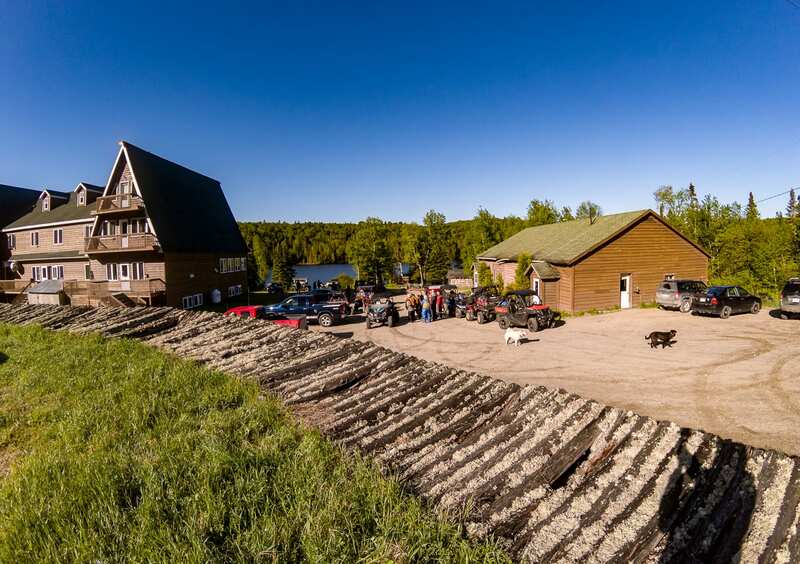 Club Odanak can accommodate not only fishing, hunting, and quad enthusiasts, but also people who want to take part in recreational activities just a few kilometres from downtown La Tuque. Our hosts prepared a supper worthy of this occasion, and it satisfied even the hungriest among us. The evening was relaxed for those who preferred to save their energy for the next day, while others enjoyed the outdoor facilities to chat and fraternize with other participants. Based on experience, on the first day, quad riders tend to make the most of the good times until late into the night, and this time was no exception. After enjoying the benefits of a cozy bed, outstanding facilities, and a copious breakfast, we began the day by separating into three groups that headed off at 30-minute intervals. Each group of quad riders was escorted by experienced all-terrain volunteers from Club La Tuque. 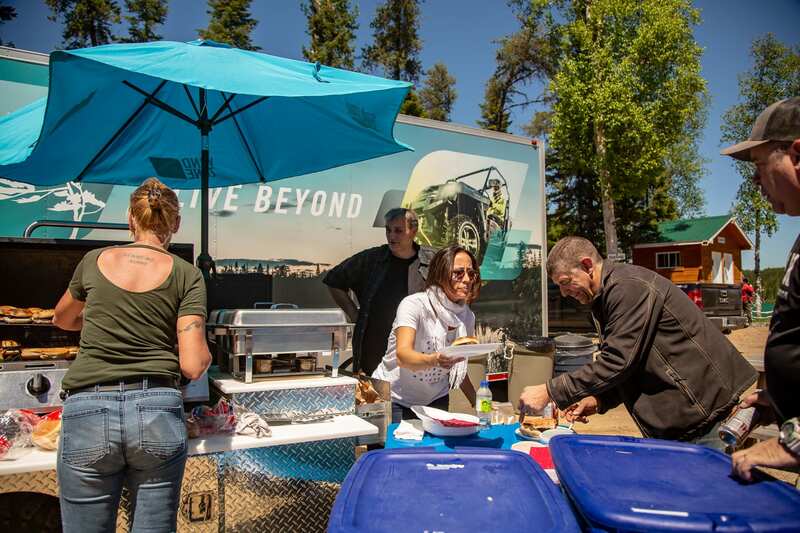 When we arrived at the outfitter Pourvoirie Domaine Desmarais to stop for lunch, we used the facilities there not only to refuel and ready our vehicles, but also to take part in a lunch courtesy of CFMOTO. On this occasion, the renowned UFORCE BBQ Grill, which generated a lot of chatter, was used to feed all the guests. This was also a special moment to get to know the members of WINDZONE/CFMOTO present and to take the vehicles at the disposal of all of us for a test drive on the trail. On this point, a motorized star attracted the envy and looks of the enthusiasts present. 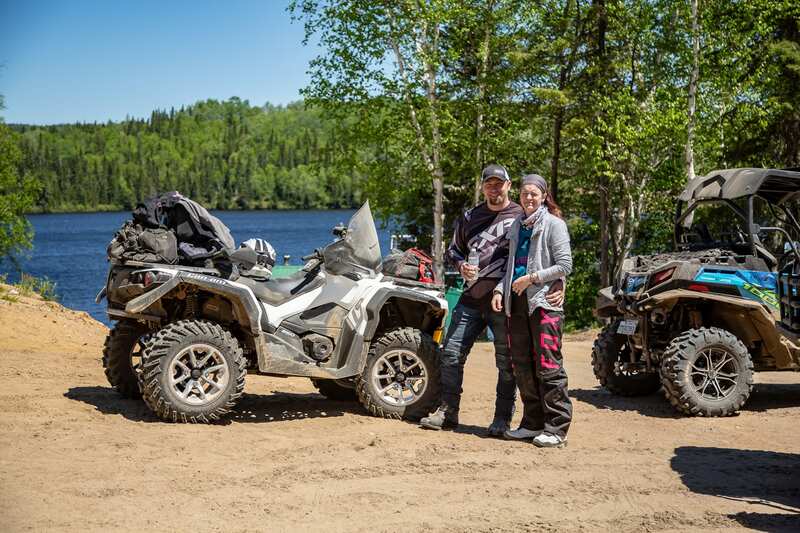 Joël and Rachel, owners of the Notre-Dame-des-Prairies CFMOTO dealership, Joliette Récréatif, had prepared a ZFORCE 1000 Canadian Edition for the occasion. The people present didn’t need to be asked to take turns at the wheel of this ATV. When it came time to leave for our final destination of the day, the last 40 km went by quickly, as we travelled mostly on forest roads. Upon our arrival at the last stop on our route, we were all stunned by the beauty of the countryside. The trail taken to reach the main building provided us with an incredible view of the lake and the many cottages placed at our disposal. 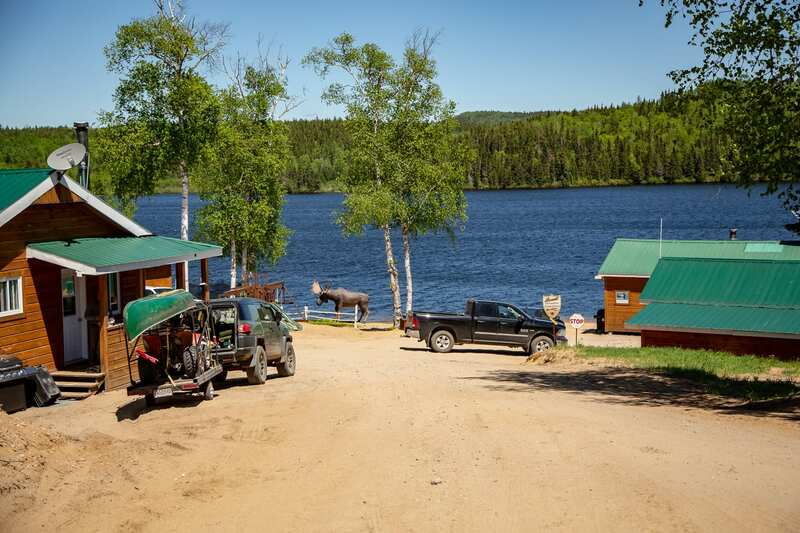 The outfitter, Pourvoirie Némiskau, offers activities sure to please nature lovers: fishing, hunting, a quad package, and more. We thoroughly enjoyed the stunningly tasteful and luxurious 24-room inn and 18 cottages. Our evening menu was delectable thanks to the dishes prepared using local and fresh ingredients. We were all delighted by the gastronomy offered. During the evening, the organizers of the trail ride spoke briefly to thank the participants. They also took the opportunity to hand out a number of door prizes, including the ultimate gift, the draw for an LS2 MX470 Subverter helmet courtesy of Kimpex. Even if the night was young, many didn’t wait to be asked to head to their rooms to recharge, as there were still a few hours before the trip back. Many benefited from a good night’s sleep. Nonetheless, there was never any question of sleeping in. Our breakfast was ready as early as 7 a.m., and we began the trip back at 8. Therefore, there was not a minute to lose, and our vehicles also had to be refueled and ready for the designated departure time. On this day, two routes were suggested: the first, 80 km long, would quickly take us back to the starting point; the second, at 120 km, involved following the scenic routes of this area. One thing was certain: Each of us smiled contentedly during the final ride. The emotion that each of us felt was a sign that we would participate in future WINDZONE trail rides. Certainly, our stay in Haute-Mauricie was a memorable one for all of us. For some, new friendships were forged, while, for others, existing ties became stronger. This trip was a complete success on all fronts, and this would not have been possible without the support of several stakeholders. Lastly, I would like to thank Frédéric Noël, who was responsible for our safety and for transporting some of the quads that had unfortunately suffered mechanical breakdowns. To find out when Raven Média will be organizing another trail ride, we invite you to check our magazines and social media networks.